There are 104 full-color pages. 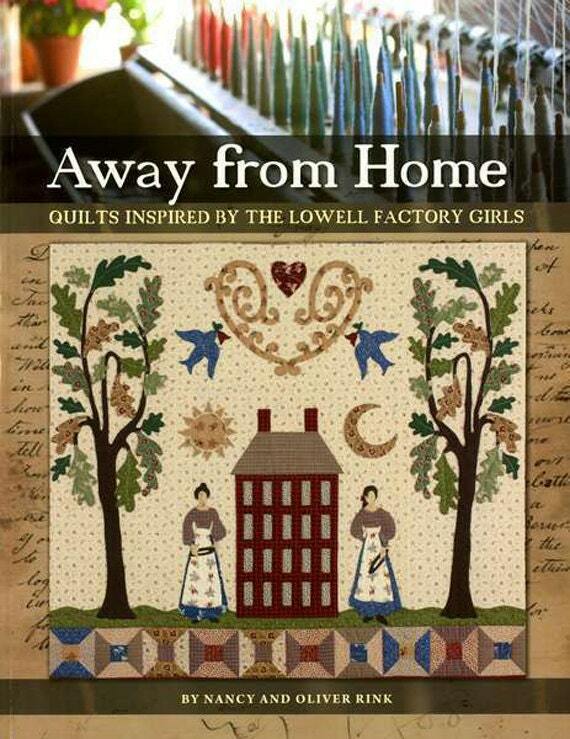 Away From Home is woven from the diaries and letters of Lowell, Massachusetts, Mill Girls and the history of the textile factories where they worked. 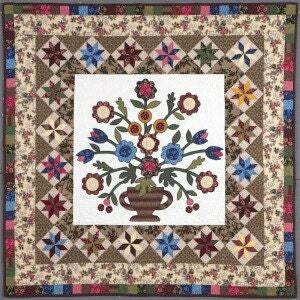 The featured sampler quilt has an appliqued center depicting two of the Mill Girls surrounded by nine pieced and appliqued blocks. 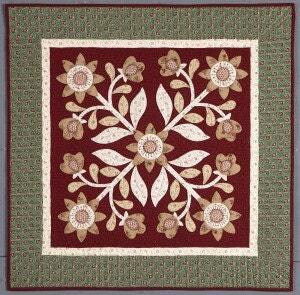 Eight more original projects include seven quilts of various sizes and a charming pinwheel pillow cover. 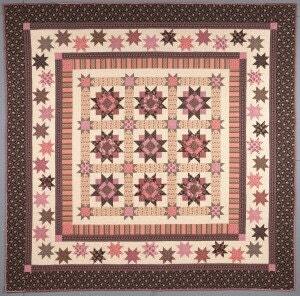 All the projects feature fabrics designed and developed for Marcus Fabrics by Judie Rothermel in conjunction with Lowell’s American Textile History Museum. 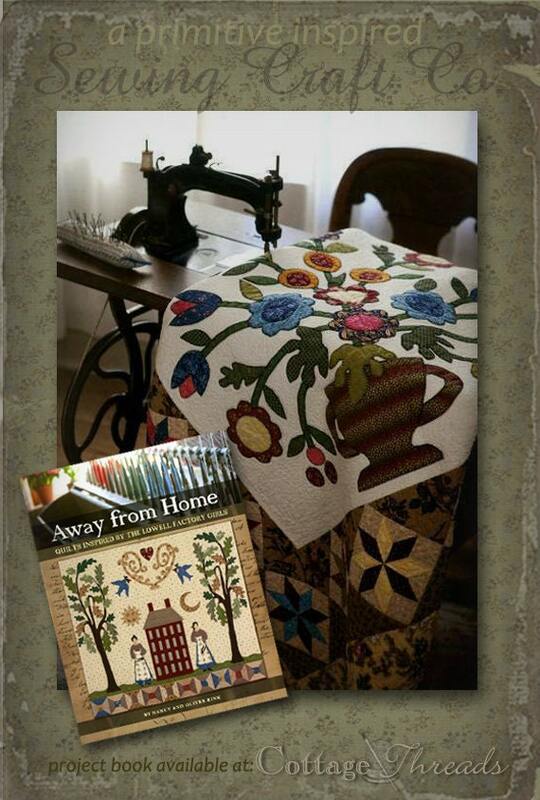 Nancy, an award-winning fiber artist, and Oliver, a history professor, combine their expertise to bring you stories as interesting and enjoyable as the quilts they inspired.